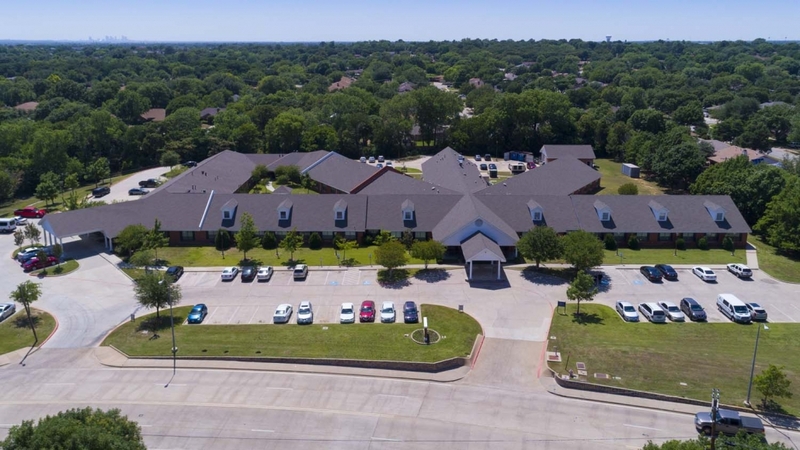 Legend Healthcare & Rehabilitation of Euless is a modern, state-of-the-art care center, conveniently located at 900 Westpark Way, a few blocks south of Texas Health Harris Methodist Hospital HEB, and near where Hwy-183 Airport Fwy, and Hwy-121 merge. Our friendly neighborhood Mid-Cities location serves Colleyville, Hurst, Euless, Bedford, and the surrounding Dallas/Fort Worth area. We feature 140 beds and beautiful spacious rooms in either private or semi-private settings. Guests will enjoy well-appointed accommodations, a diverse activities program, nutritious satisfying menus, housekeeping and laundry services, and beautifully landscaped grounds.